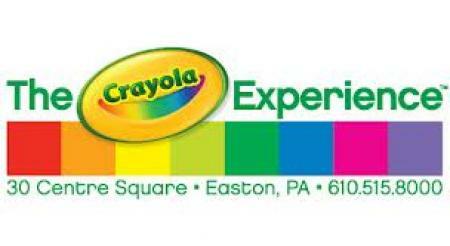 The Crayola Experience is located in the heart of Easton's Center Square. The facility is a three floor exploration center, guests can spend as much or as little time in each section of the building as they like. Exhibits change regularly and all feature crayola products. Many of the exhibits are "make and take" so be prepared to bring home a bag full of "treasures" made with love by your little ones. With the price of admission each guest will also recieve a pile of tokens that can be redeemed for various activities or products throughout the buidling such as crayon sets, markers, clay and more. The Crayola Experience has more to offer than just a fun day out for the family check out what else is going on there. Packages accomodate up to 35 guests and include a staff member to assist with the party, 2 crafts, admission to the Crayola Experience, choice of a party theme and an appearance from "Pip" or "Tip". Cakes are not supplied,guests must bring their own. Room rentals are available for special events, their spaces can accomodate anywhere from 50 to 875 guests. Reservations and inquires about reservations and rentals can be made here. Reservations are required for groups of 15 of more. Check in to see what special events are happening! The Crayola factory is a safe, fun and creative learning opportunity. My 22 month old daughter loved the giant "Lite Brite" and Model Magic activity centers. We love the Crayola Factory! My kids love to do all the little project areas and fell in love with "model magic" which I have to say even though it's pricier than playdoh - it's so much better! Glad Crayola is near us!